Capture your most exciting and thrilling moments on or off road with a RAM Camera Mount available online from REDARC Electronics. These RAM Mounts attach your camera to any off-road vehicle, motorbike, truck and car for incredible footage from a truly immersive perspective. Using high-quality materials, RAM Camera Mounts minimise vibrations to provide steady pictures and videos. Each mount fastens securely and holds your camera firmly in place on the most intense terrain and environments. If we don’t have the RAM Camera Mounts suitable for your device. Contact REDARC and we can find an alternative solution. 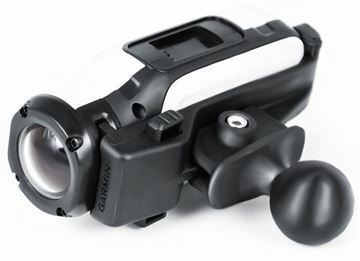 The RAM-B-202U-GA63 Garmin VIRB Camera Adapter allows you to mount a Garmin VIRB action sports camera onto a full selection of RAM Mounts. 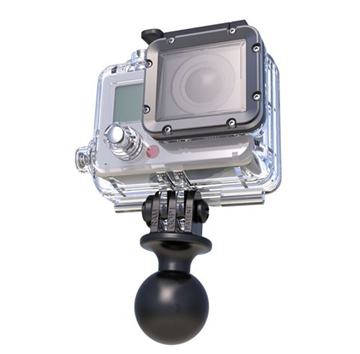 The RAP-B-202U-GOP1 GOPRO Mounting Base 1" Diameter uses a 1" rubber ball to attach your GoPro to a variety of RAM mounts when used in combination with the custom GoPro adapator.